A flawed business genius, Sam Bronfman made a fortune during Prohibition and spent the rest of his life chasing respectability. Davin de Kergommeaux tells the compelling story of a man who transformed the international liquor business. Samuel Bronfman was a visionary businessman, a generous philanthropist and a whisky maker who was obsessed with quality. As a family man, however, he came up short. It was this failing that led to the loss of the distilling empire he had dedicated his life to creating. Known by all as ‘Mister Sam’, Bronfman’s enormous influence on Canadian whisky is indisputable. But if you appreciate single malt Scotch, Caribbean rum or American Bourbon, there is little doubt that you have already tasted and enjoyed the work of Mister Sam. On 27 February 1889, as Yechiel and Mindel Bronfman and their young family were fleeing from the anti-Semitic pogroms in their Russian homeland, their escape was interrupted in Soroki, Bessarabia (modern-day Soroca in Moldova), by the birth of a son, Samuel. The Bronfman family arrived in Canada later that year, and they soon settled in Brandon, Manitoba, where Yechiel sold firewood, frozen fish and horses. As he observed the world around him, young Sam noticed that successful transactions were often cemented with a drink at the local hotel. Sam later ran his own hotel, The Bell, in Winnipeg. This experience confirmed his belief that selling alcohol was usually a lucrative business. When prohibition arrived in Manitoba in 1916, Sam made a fortune. He and his brothers exploited loopholes that enabled them to sell legally distilled whisky across borders in provinces where it could not otherwise be purchased, without breaking the law. Sam and his brother Harry sold whisky destined for Alberta and Manitoba from whisky warehouses, known as boozoriums, that they built in Saskatchewan on its borders with those provinces. Before long, he and his brothers had established a mail-order business in Montreal, where producing and selling alcohol remained legal. When American lawmakers enacted the Volstead Act in 1920, it brought Prohibition to the US. Sam and Harry extended their made-in-Canada concept and opened boozoriums along the southern Saskatchewan border. Sales to rum-runners from the northern US were not only legal there, they were also very lucrative; until the Canadian federal government moved to close these export warehouses. When the Saskatchewan government took control of all liquor sales in the province in 1923, the brothers decided it was time to build a real distillery. They chose LaSalle, near Montreal, and they called their new enterprise Distillers Corporation Limited, a name they took directly from Scotland’s prestigious Distillers Company Limited (DCL). Ever conscious of quality, Mister Sam chose to leave the company’s distillate in barrels to mature, rather than take a quick profit. At the same time, the brothers entered into a formal partnership with DCL, thus gaining exclusive rights to import top brands such as Black & White, Dewar’s, Haig and Vat 69. It was the kernel of a concept that would eventually change the way the liquor business operated around the world. Rather than selling bulk whisky for others to compound and eventually bottle, Mister Sam sold his products already bottled, through distributors. In this way he could control the quality of the whisky reaching the consumer. In 1928, the Bronfmans merged their business with Joseph E Seagram and Sons of Waterloo, Ontario. They called their new partnership Distillers Corporation-Seagram’s Limited. Mister Sam anticipated the end of Prohibition and he decided to expand and upgrade their Waterloo and LaSalle distilleries in anticipation of what he foresaw as increased demand. Although ownership of Distillers Corporation-Seagram was shared with the Seagram family, Sam Bronfman was the president of the firm, and he ran it as if it were his alone. In 1933, he decided to buy the Rossville Union plant (now called MGP) in Lawrenceburg, Indiana, and this became the first of 13 American distilleries that he would acquire. Bronfman carried a sense of shame because of his Prohibition beginnings. His embarrassment evolved into a kind of obsession with respectability, something he thought he might earn through the quality of his products. Under his direction, Seagram’s set out to develop strict protocols to help it maintain standard flavour profiles from year to year. The company achieved this by blending large numbers of components that could be adjusted for each individual batch. Even a straight Bourbon such as Four Roses, incidentally one of his later acquisitions, adopted this same approach. The company evened out batch differences by adjusting proportions of 10 different base Bourbons to achieve one consistent flavour. In 1934, he introduced Seagram’s 7, an American blended whiskey made at his distillery in Lawrenceburg, to standards far exceeding government requirements. It was a huge success. Sam also realised that associating Seagram’s with Scotch whisky could increase the firm’s respectability. To prove the point, in 1935 he purchased Robert Brown Ltd of Paisley, with its substantial stock of mature whiskies. The next year, he incorporated Seagram Distillers Co in Scotland. He solidified his Scottish holdings in 1949, when he purchased Chivas Brothers. But he surprised everyone when he quickly nixed plans already in place for Chivas Regal to release a 25-year-old blend. He told them they had insufficient quality blending stock to meet anticipated demand. Instead, Sam went on to develop Royal Salute. In 1950, he took over the distillery now known as Strathisla and, to boost production, built the Glen Keith distillery next door. Despite these successes in Scotland, it was a Canadian whisky, Crown Royal, that would clinch Mister Sam’s international legacy. He personally developed this blend to mark the visit to Canada in 1939 of King George VI and Queen Elizabeth. Though the whisky travelled all the way across Canada on the Royal trains that carried the couple, there is no evidence that they ever tasted it. No matter; it was a marketing coup, and it led to Crown Royal’s continuing status as the best-selling Canadian whisky of all time. Seagram’s also expanded internationally by branching out into foreign-made vodka, gin, rum, wine and other products. At its peak, the company owned 39 distilleries around the world, seven of them in Canada. As well as Crown Royal, Seagram’s VO and a host of Canadian whiskies, Seagram’s brands included Captain Morgan rum, Chivas Regal and The Glenlivet Scotch whiskies, Mumm Champagne and a number of other household names. Later, in 1987, Seagram’s added the French Cognac maker Martell & Cie to its list of acquisitions. Sam Bronfman systematically eliminated his siblings from the business, despite his promise to his mother that he would always keep the family together. At the same time, Sam was enormously generous, particularly in Montreal’s Jewish community. Through Seagram’s he funded the construction of hospital wings and university buildings in Montreal. He also donated substantial sums of his own money to seed campaigns for Jewish charities and for the State of Israel. He was a leader within the Canadian Jewish community for most of his life. In the end, though, the elimination of his siblings and their spouses and children from the business, together with his insistence on maintaining strict control of the company within his own line of descendants, despite their declining interest, was the once-powerful firm’s undoing. 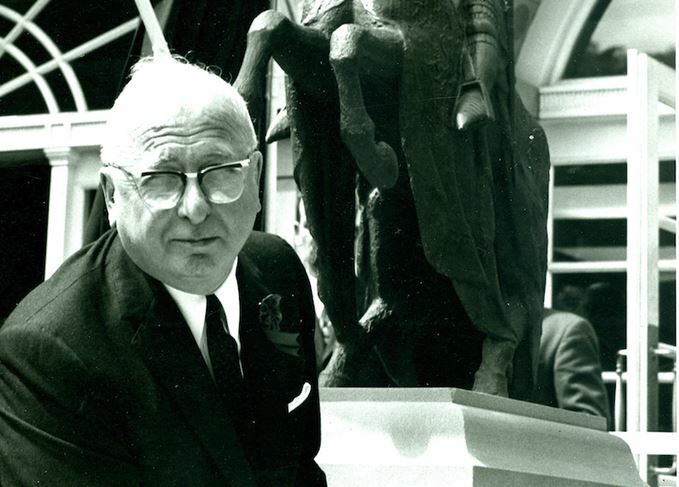 Shortly before he died in 1971, Sam passed the leadership of Seagram’s to Edgar, his son. For the next two decades, Edgar managed to keep the company prosperous. Edgar Jr had been raised in luxury, and he had no interest in the spirits business. He fancied himself a movie mogul and decided to steer the firm in that direction. To finance the company’s entry into entertainment, Edgar Jr sold Seagram’s largest profit centre, DuPont, for US$9bn. By 2000, and for a few billion dollars more, this once mighty ‘made in Canada’ firm was lost to French conglomerate Vivendi. Today, Diageo, Pernod Ricard and Sazerac share the brands that made Seagram’s great. Mister Sam’s Crown Royal is distilled in Diageo’s Canadian plants in Gimli, Manitoba, and in Valleyfield, Quebec. Seagram’s VO, Five Star and Seagram’s 83 are made in Canada by the Sazerac Company of New Orleans. Sazerac is eager to celebrate its links to the famous Mister Sam, while Diageo avoids making that connection. Sazerac has launched an annual Mister Sam Tribute Whiskey, a blend of rare, long-aged whiskies which are certainly worthy of the quality-obsessed Mister Sam. Diageo, meanwhile, knows the value of the Crown Royal label and has extended it to a portfolio of different releases. The Bronfmans today? They have certainly not lost their fortunes. Individually, and as families, they are still business powerhouses with various interests in Canada and the US. In the whisky business, though, Mister Sam and his remarkable, pace-setting empire have become have become yet another reminder of the surprising rise and fall of seemingly invincible dynasties.